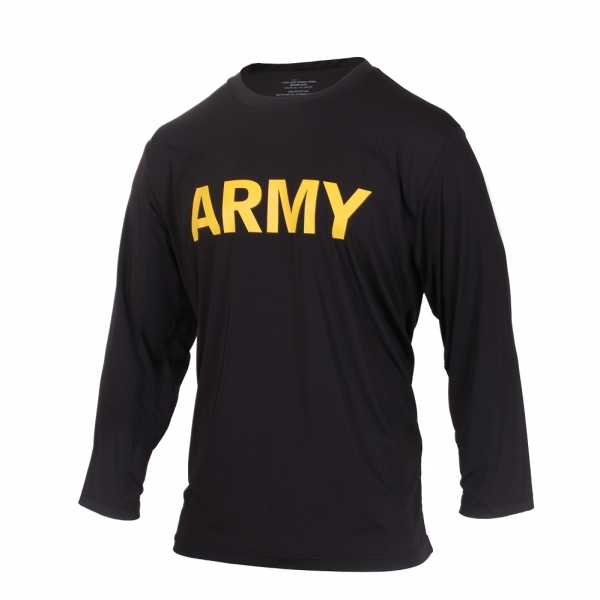 Army PT Shirt is a new and improved version of the traditional military physical training uniforms. PT Shirt is constructed of a Nylon/Spandex performance material that is breathable and moisture wicking. Gold "ARMY" lettering is printed across the chest.